It’s a dreary Saturday morning. The sound of the gentle rain on the roof and that of a snoring, old dog are comforting. I’m on the sofa. Next to me is the old, snoring dog that I’m taking care of while my parents are out of town. Dolleigh is snuggled underneath the sofa throw and seemingly content. 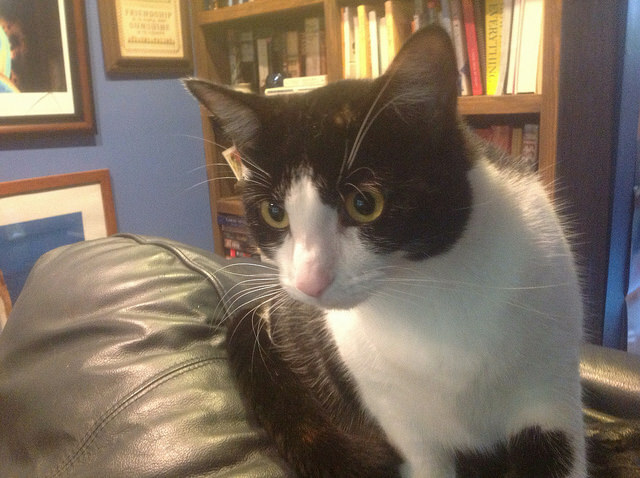 Behind me, on the back of the sofa, is Izzy, my black and white cat. 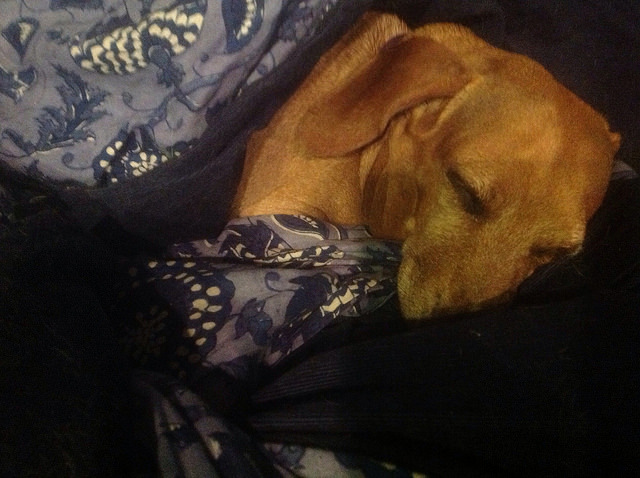 She, too, is sleeping but without the snoring – she’s far too young for such indignities. Maggie, the old champagne-colored cat, is sprawled on the coffee table in front of me. While old enough, she is quiet in her sleep. Perhaps her cat nap isn’t deep enough. Phoebe, my somewhat Shih Tzu puppy, is nestled against me. She is not sleeping. Phoebe is jealous – the first sign I’ve seen that she is even a little bit territorial about my affection. She loves Dolleigh and this whole dog-sitting thing is a great adventure for her, but nonetheless, she does what she can to distract me from loving on Dolleigh, an impossibly fat and affectionate dachshund. Dolleigh, in her old age and rotundness, invites affection. When I pet her, she lifts her muzzle to give me kisses. She stays close to me, unlike Phoebe who is usually too busy with a toy or a cat to snuggle with me. But with Dolleigh here, Phoebe is bestowing great gifts of affection and staying very close to me. 2400 sq. ft. and here we all sit. It is a gray, gloomy day, but, still, it is beautiful. The damp causes the changing leaves to glow in the mist. I’ve sat here, loving on pets, and drinking coffee for several hours while staring out the atrium door to the backyard. It’s just that kind of day – one that provokes a lazy stillness. Later, perhaps, I will curl up with a book and read between my own cat naps. This is a three-day weekend for me. I feel quite comfortable at the idea of spending this day doing nothing of any import. It won’t surprise me, however, if I turn into a whirlwind of activity and tackle some household projects. It’s that kind of day too– one pregnant with possibilities, but no agenda. I may wallow in the comfort of this sofa or I may tackle the disorganized mess of this house. Either way, I’ll be steeped in contentment. It’s just that kind of day. 2400 sq. ft. and here we all sit. I know if I get up, so will the animals. All of them will follow me to whichever room I go. If I do turn into a whirling dervish of activity, all of them will make their way back to the family room where they will continue to nap and snuggle with each other. Whatever it is I end up doing, I think I will do it without music or television. I am loving the sounds of this rainy, dreary Saturday.